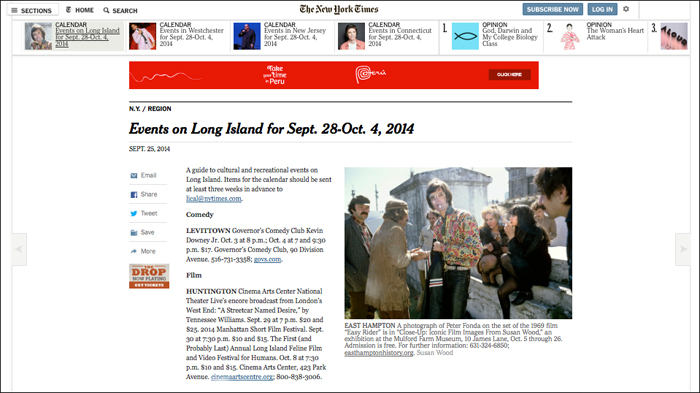 Dear friends, It is with great pleasure that I would like to share with you a recent listing in the New York Times, highlighting CLOSE-UP as the must-see exhibit on their Long Island Calendar. 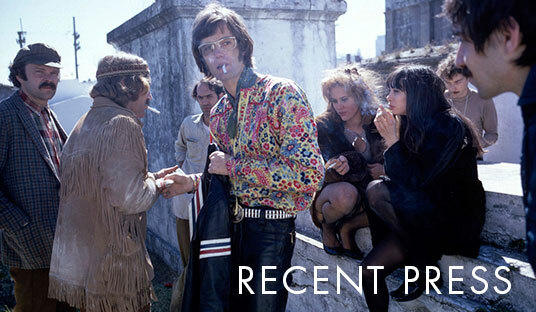 Close-up” is a collection of my movie stills from the 1960′s, unrehearsed shots of the era’s most unforgettable actors and directors like Peter Fonda, Dennis Hopper, Monica Vitti, Marcello Mastroianni, Billy Wilder, Terence Stamp and Billie Whitelaw. Continuing on from it's successful run in Dublin at The Jameson Film Festival, Close-Up is part of the Hamptons International Film Festival program. We hope you can join us for a mimosa at the premiere “Matinee” reception this Sunday!